Discussion in 'iPhone and iPad Games' started by metalcasket, Jul 14, 2016. 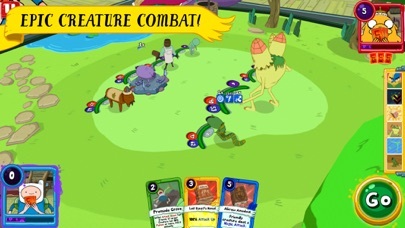 This plays almost exactly like Kung Fu's other card game, Card King Dragon Wars, I eventually stopped playing that. 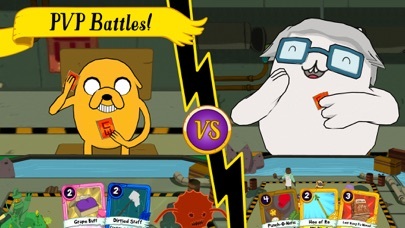 But I like the Adventure time characters and the original Card Wars, so let's see how far I go with this one. 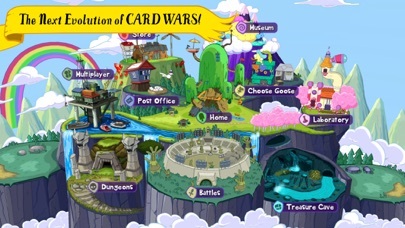 Agreed it feels like the baby of the original Card Wars and Card Kings Dragon Wars. 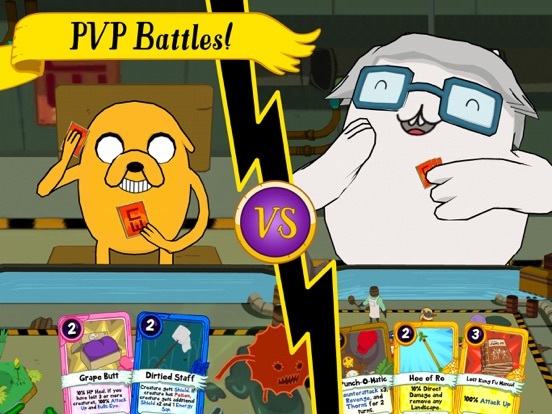 I liked both those games, although crafting higher level cards took way too much time. Servers are pretty terrible at the moment. 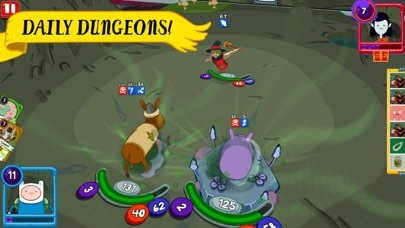 But the card mechanics are solid, there are lots of cards to collect and different tactics to explore. Can't find any cloud save possibility to poursue my game on my iPad ?? Oh great! It looks like they removed that awful spinning wheel combat mechanic from the original game, huh? So... How's the monetization? 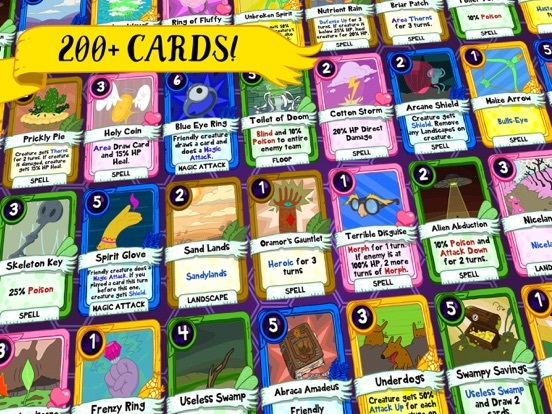 Is it a CCG kind of game where you buy packs? 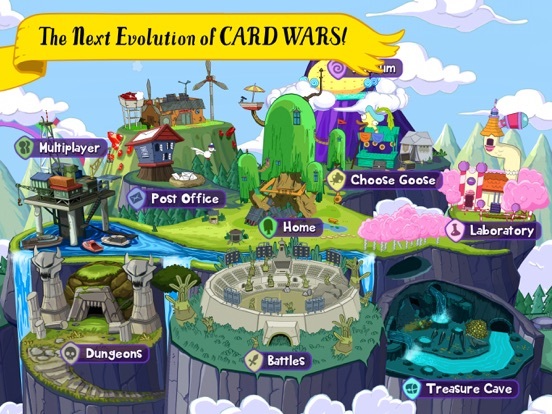 It kinda feels like an Card Wars Kingdom Light/Trial Version to make you look out for more and kinda at some point realize that you will end in buying the Pay2Play Game instead of staying with the Freemium Game. That`s not bad at all and I am sure that many will enjoy playing it and spent some time with the Game before they will switch to the "Full Game"
But doesn't this one have PVP and the other doesn't? Im pretty sure you were the same person who said the same thing about Galaxy on Fire 3, where the game released is a trial version and will be updated to the final version......blablabla and such, and everything said were incorrect and denied by the developer themselves. Stop dreaming boy, this is the final version. 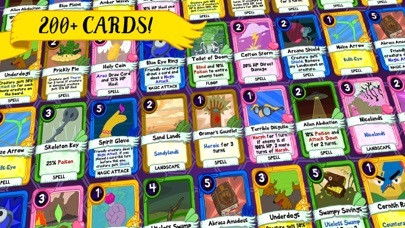 Yea the original card wars is sick and addicting, but this is nothing like the first one. I agree. This is a decent Cartoon Network/Turner Broadcasting release. But I'll still be playing the original first. Except for one thing. I bought thev $0.99 pack of gems, Cake, bones,and coins. Haven't received a single item. Any time I hit Store, it tells me unable to connect. I have Unlimited 4G LTE and full signal. Hooked to WiFi and tried, also to no avail. I had the same problem. I ended up having to do the iTunes Store refund-got my money back right away. Devs still have not responded to my message. Im probably going to give this one a break soon. Its a slow grind, still very buggy, and not as good as the original Card Wars. I had the same problem. I ended up having to do the iTunes Store refund-got my money back right away. Devs still have not responded to my message. After playing this for awhile, I have to say I am disappointed. There are so many things about this game that are just not right. First of all, its still pretty buggy. 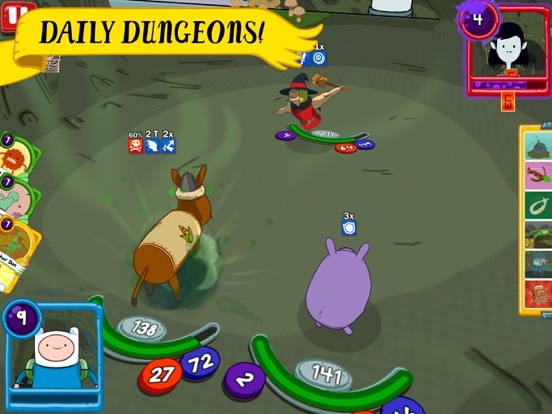 The energy required to play a game is such that you can play for about 15 minutes before you have to wait for hearts to regenerate (or pay to play). The items needed to evolve your team are scarce to acquire. When you level up your character, it becomes unplayable because it's too "heavy" to add to your team until you have reached some high level that grants you more weight allowance. 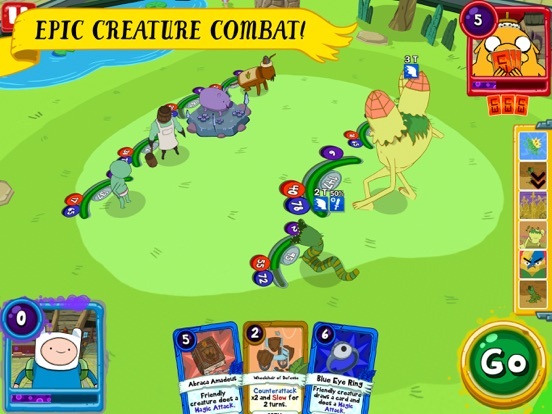 And it's a virtual copy of their Card King Dragon wars game which I have also stopped playing. At this point the only saving grace is that it links to game center so if I delete it to make room for other games, Ill still retain my progress (which is why I have not deleted the original Card Wars despite almost finishing it) in case they make things a little better and I reinstall it. I usually don't criticize a game like this but I am kind of bummed as I was looking forward to this. Not to compare, but when I spend $30 or so in hearthstone, I feel like I'm getting something of real value. In this game it feels like i kinda wasted my money tbh. I'll keep playing a little longer.